Dive into the water and climb out on the right. 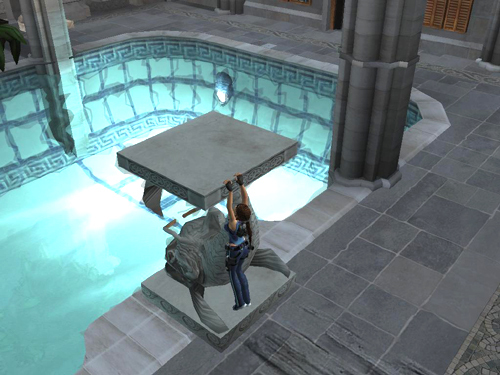 If you haven't already moved the tallest fish pillar to the edge of the pool, do that now. Then climb on top of it. Jump to grab the planter that you just lowered. Pull up. 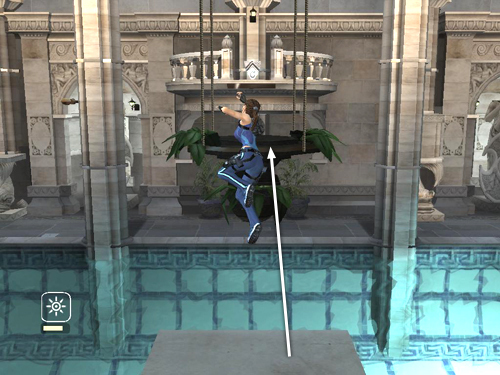 Position Lara near the middle of the flat surface. 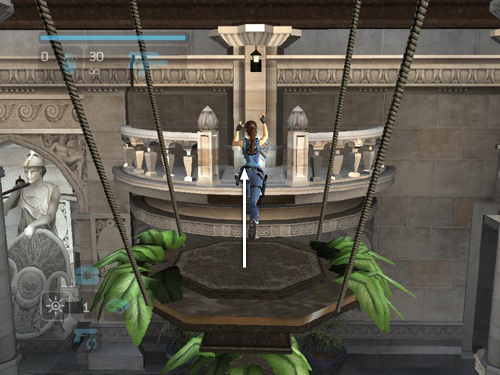 Attach the grapple to the shiny spot below the small, curved balcony with the silver shield. Then pull on the grapple to bring the planter toward the balcony. 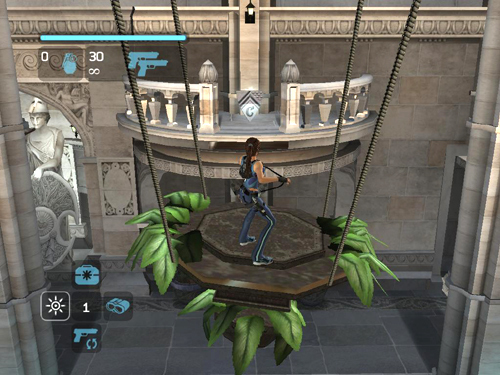 Detach the grapple to start the planter swinging, and when it swings toward the balcony, jump over there to get the silver reward (5/10).